The Nautch girl, extravagantly celebrated for her beauty as well as her virtuosity, belonged to a unique class of courtesans who played a significant role in the social and cultural life of India in the eighteenth and nineteenth centuries. The Nautch girl was no ordinary woman of pleasure she had refined manners, a ready wit and poetry in her blood. She embodied splendid synthesis different cultures and dance forms the classical and he popular and catered to the sophisticated tastes of an elite who had the time, resources and inclination to enjoy her accomplishments. Over the centuries female dancers have appeared in various incarnations, more often as temple dancers dedicated to the gods, for dance is believed to have divine approval. However, historian, sociologists, novelists and chroniclers have not always done justice to the Nautch girl, depicting her as either a vamp or as a showgirl bought by the wealthy for festive occasions. 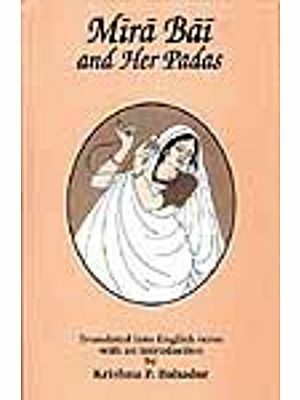 This book traces the emergence of the quintessential Nautch girl from the Mughal era, when she reached the zenith of her talent and charisma, to the British Raj when her mystique reigned supreme and her popularity and status among the English sahibs and the Indian aristocracy touched a new high. Illustrated with reproductions and drawings from collections all over the world this book offers a vivd glimpse of the seductive allure and dazzling grace of Nautch in its days of glory. Pran Nevile was born in.Lahore and took his post-graduate degree from there. After a distinguished career in the Indian Foreign Service and the United Nations, he decided to become a freelance writer and has specialized in the study of social and cultural history of India. His particular fascination with the performing arts inspired him to spend many years researching in libraries and museums in the UK and USA. Nevile has written extensively on Indian art and culture and also acted as a consultant for two BBC films on the Raj. He is the author of rahore: A Sentimental [ourney, Love Stories from the Raj, Beyond the Veil: Indian Women in the Raj, Rare Glimpses of the Raj, Stories from the Raj: Sahibs, Memsahibs and Others, K.L. Saigal: Immorta! Singer and Marvels of Indian Painting. Ever since my boyhood days I have had an earnest fascination for dance and music especially for the practitioners of the arts. I was keen to study the aesthetic pursuits and achievements of the dancing girls though the ages. Having a deep interest in the study of social and cultural history of the Raj period, I decided to discover how and why the icon of performing arts called the Nautch Girl was banished from the entertainment scene by the end of the nineteenth century. It was with a missionary zeal that I undertook the study of Raj literature comprising journals, diaries, memoirs and the visual record bequeathed to us by contemporary artists both British an Indian relating to the subject of nautch. I found revealing accounts of the famous celebrities and their captivating performances. The interesting part was the sahibs fascination for this entertainment and their generous patronage. The Nautch girl was not merely a woman of pleasure but an accomplished and a refined person with dance and poetry in her blood. Historians, sociologists and fiction writers have done little justice to the Nautch girl by depicting her either as a vamp or as a showgirl. Modern writers on the Raj have also paid little attention to the cultural scene and the status of dance and music during the period. I have tried to examine every possible factor historical, socio economic and cultural that contributed to the rise and fall of the Nautch girl, once the reigning queen of entertainment. It is important to recognize and acknowledge her vital contribution over the centuries to the preservation of our heritage of classical dance and music. It is my modest attempt to bring alive the nautch girl of yore and provide a peep into world now lost to us forever. I would like to express my gratitude to the British Library, Oriental and India Office Collection, where I did most of my research over the years. Further, I am grateful to them and the Victoria and Albert Museum and well as other art galleries for providing me with the visual material the enriches the flavor of the narrative. Last but not least my heartfelt thanks go to Penguin Books for evincing interest in may work, and especially to Paromita Mohanchandra, who worked on the test and arrangement of illustrations with a keen interest in the subject. An integral part of Indian culture, the institution of performing artistes has been recognized as a necessary element in the organization of society. From time immemorial Indian Poet have sung praises of the public woman the professional entertainer. The epics give us a colorful description of her intimate connection with royal splendor. The Puranas highlight her auspicious presence as a symobol of good luck. 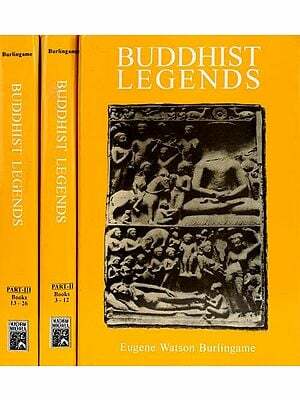 Buddhist literature also testifies to the high esteem in which she was held in society. She appears through the ages in different incarnations, from apsara in divine form to ganika, devadasi, nartaki, kanchani, tawaif and nautch girl. Dance and music, according to Indian tradition, are divine creation. The supreme Lord Brahma is said to have commissioned the sage Bharata to compile the Natya Shashtra, the sacred treatise on dance and music. The text deals with the arts of music, dance and drama as well as every related subject including the drama scripts, portrayal halls and stages suitable for performances. However, the major part of the text covers dance with a detailed account of the hand and foot movements, the use of different parts of the body and the essential requirements for a good dancer. While codifying the dance art, Bharata realized that only women could perform the graceful lasya dance. He informed Brahma about his problem, whereupon the supreme Lord created the apsaras, the first performing women artistes to entertain the gods. Poets have composed songs extolling the beauty of apsaras and how they delighted the gods as they danced merrily to the accompaniment of music by the gandharavs, the mythical divine singers. Urvashi, peer among the apsaras, who is said to have been born on earth, imparted divine knowledge of dance and music to human beings. Devadasis as temple dancers were the first recipients of this art, and over the centuries, their devotional daces became an essential part of the temple service. The devadasi system was prevalent all over India which is evident from glimpses of social and cultural life in the Mauryan period, provided by Kautilya. As time passed the exchange of devadasis between the temple and the court became an established practice. In ancient India there were ganikas, accomplished in sixty four kalas arts which included dancing and singing. Known for their physical charm, they entertained the rich and the famous who vied with each other to win their favours. To be seen with a ganika was considered a status symbol. The encounter between the ganika and the ascetic is a stock motif in Sanskrit literature. In course of time, dacing grew more and more popular and every king and chieftain had his own troupe of professional artistes who were accomplished in dance and music. With the advent of islam, the devadasi institution disintegrated in north India but is continued to flourish in the south. For the Mughal rulers, dancing was an essential component of royal entertainment and they brought to India Persian dancing girls known as domins, lolonis, horokenis and hentsinis with their own distinctive style of dancing. The interaction of Persian dancing style with that of the traditional Hindu form brought a glorious fusion of Hidus-Muslim arts and a new kind of alloyed dance form was evolved, popularly known as Kathak. The wealth and prosperity of the Mughals encourage the cultivation of all art forms, and with royal patronage Kathak came to be regarded as a sophisticated form of entertainment. The high-class dancing girls were conferred the title of Kanchani (gilded) by Akbar. During the later Mughal period, singers and dancers with lavish royal patronage began to wield great influence in the court. Jahander shah married the famous dancing girl lal Kunwar and gave her the status of a queen with the title of Imtiaz Mahal (chosen on the palace). She came to be known as the Dancing Empress of India. Another colorful ruler, Uttambai, known as Qudsia Begum. After decline of Mughal power, Delhi lost it s former glory and the scene shifted to Lucknow, the seat of Oudh Nawabs, where the leading dancing girls found a new home. Repositories of art, cultural and refinement, they occupied a respectable position in society. Wajid Ali Shah the last nawab of Oudh, whose reign is remembered as the golden age of music and dance, went to the extent of establishing an institution called the parikhana (fairy-house) where young girls were taught dance and Music. Meanwhile, in south India, the institution of devadasis had continued but after the decline of kingdoms and gradual impoverishment of the great temples, devadasis were forced to seek the patronage of Indian princes and landlords. Those who could not secure regular employment with them travelled around in search of patronage from the newly powerful English masters. Under the sahibs patronage the classical dance forms of Kathak in North India and Dassi-Attam in south India were given the common appellation of nautch and the performing artiste in her new incarnation emerged as the nautch girl delicate in her person, soft in her features, perfect in form and captivated the hearts of the English sahibs by her song and dance and enthralled the more sophisticated among them by her conversation and wit. The nautch girls and their earlier counterparts, the ganikas, devadasis and nartakis belonged to a class of professional artistes who were accomplished singers and dancers and also well versed in literature. They provided stimulating company and the elite usually sent their sons to their salons to learn refined manners and social etiquette. The institution of nautch dominated the entertainment scene until the end of the nineteenth century when its decline began in the wake of an anti-nautch campaign mounted by the missionaries and the western educated Indian social reformers. This moral censorship dealt a deathblow to the traditional Indina dance art nurtured and preserved by these women artistes through the ages. The reformers succeeded in denigrating the dancing profession and its practitioners. The great teachers and disciples of classical arts of dance and music were forced to find other avenues for a living. However, while nautch and its exponents the nautch girls carrying different appellations such as baijis, tawaifs, devadasis and naikins were languishing, Indin classical dance witnessed a revival. In the twenties and thirties of the twentieth witnessed a revival, in the twenties and thirties of the twentieth century some dancers from abroad, including the legendary ballerina Anna Pavlova from Russia and Ruth st Denis and Ted Shawn from the United States, contributed to this awakening in no small measure. Among the Indian pioneers of revival were Gurudev Tagore, Uday Shandar and Menaka from north India and E. Krishana iyer, Rukmini Devi and ragini Devi from south India. They sought to make their compatriots aware of the ancient spiritual glory of Indian dance. Both dance and music were thus liberated from the yoke of the social stigma attached to them and acquired a new dignity. The surviving great masters and gurus of dance art all over the country were sought after and they began teaching dance and music to young educated girls from respectable families. The post-independence period has witnessed a cultural renaissance. The Kathak dance form of north India has graduated to ballet in the hands of some contemporary exponents while Dassi-Attam or sadir-nautch of south India has reappeared in its new incarnation of Bharatanatayam, an appellation pertinent to any dance form based on the principle enunciated in Bharat’s Natya Shastra. There is a welcome revival of other traditional dance forms to from different regions of India. The state, through radio and television, has emerged as the leading patron of the performing artistes. The Indian Council for cultural relations plays a leading role in introducing the Indian performing arts to the audiences in different parts of the world. Several organizations and some industrial houses are also providing generous patronage to promote upcoming artistes.